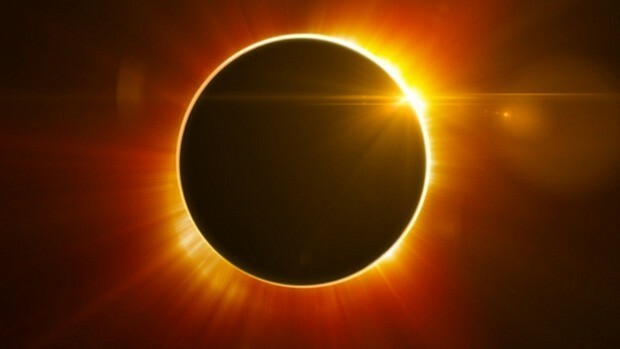 When I heard about the total solar eclipse scheduled to cross the United States this summer, I knew I had to see it since the opportunity to witness one does not come along often in a lifetime. I noticed on the map of totality that it would be passing close to Portland, Oregon, a city I’d recently talked about visiting, so figured I’d make a trip out of it. I booked a stay in the city and then found a day tour that will take me south into the path of totality and provide me with a complementary pair of eclipse viewing glasses. But I didn’t stop there. Once I realized that the Timberline Lodge on Mount Hood (aka, the Overlook Hotel from the The Shining) was within driving distance, I couldn’t pass up the opportunity to spend a night there. Then I thought, why not keep driving across the county to Yellowstone? So I booked a five-night stay in Yellowstone. At this point I was on a roll so I decided that I would extend the road trip all the way to South Dakota before flying home. Then I could visit Devils Tower and Mount Rushmore while spending three nights in historic Deadwood. Alas, I bit off a bit more than I could chew in terms of driving all the way from Portland. The time I would spend on the road was much greater than I thought and, more importantly, the price of the rental car to cover that time and distance would be astronomical. It turns out that it’s much cheaper to fly part of that distance, so I formed a new plan: rent a car overnight for the drive out to Mount Hood, backtrack to Portland for a flight to Missoula, Montana, and then get another rental to drive the remaining distance to Yellowstone and Deadwood. I will essentially have two full days to spend in Portland as the first day will be the flight and the third day will be the eclipse tour. I booked an apartment in the heart of downtown, so my plan is essentially to just wander around on foot. A couple of places I would definitely like to visit are the Japanese Gardens and Powell’s City of Books, but other than that I’ll probably just wing it and look for some good places to eat. The day of the eclipse will be a super early morning (for me). A bus will take me to the Oregon State Fairgrounds for the Oregon Museum of Science and Industry Eclipse Viewing Party. After the eclipse the tour will visit two wineries in the Willamette Valley for some wine tasting. Next up is a drive out to Mount Hood for a visit to The Overlook Hot . . . err, I mean Timberline Lodge. Even though only the exteriors of The Shining were shot here, it’s still a must-do pilgrimage for any fan of the film, and it’s a gorgeous location near the top of Mount Hood. The lodge offers a ski-lift ride to the 7000-foot level of the mountain, so I’m going to try to do that, as well as some light hiking. This will essentially be a travel day, driving back to Portland to hop on a flight to Missoula, Montana, during which I will be riding in my first ever propeller plane. I made sure to book a window seat for the amazing views I’ve read about on this flight. In Missoula I’ll stay overnight at a nearby hotel before embarking the following morning on my roughly 6-hour drive to Yellowstone. This has become the centerpiece of my trip. I had originally booked 5 nights in Canyon Village because it was centrally located between the North and South portions of the park and I didn’t feel like constantly packing everything up to stay in different parts of the park, as many have recommended. However, I soon realized that most of my planned activities were in the southern portion of the park, so I would be doing a lot of driving. And when I decided to add Grand Teton National Park to my itinerary, I knew I had to make a change. So now I will be spending the first two nights in Canyon Village. The first night will involve driving in from the north, so I will get to pass through Lamar Valley (one of the best places to see wildlife) toward the end of the day on my way to check in. If I have time, I may also stop in Mammoth and visit Tower Falls. On the second day I will hike around the Grand Canyon of the Yellowstone. If I get up early enough, I may spend the morning in Lamar Valley again (hopefully by visiting there twice I’ll increase my chances of spotting a wolf), and, if I have time in the afternoon, I’ll try to hit the Norris Geyser Basin trail. On the third day I will be driving toward Grant Village, which will be my lodging for the final three nights, a location close enough to Grand Teton for a day trip. On the way to Grant Village, I will be driving through Hayden Valley, the other prime wildlife viewing spot. I’m planning to spend most of my day there since check-in is not until 4:30. If there is time I will also do the Mud Volcano trail and then stop at the northern part of Yellowstone Lake before heading to my final destination. Grant Village is situated on the West Thumb portion of the lake so I may do some light hiking around there after check-in, or head to the nearby West Thumb Geyser Basin and Lake Overlook trails. The fourth day will be spent in the Old Faithful area along the various geyser trails before making my way north to the Grand Prismatic Spring and hopefully a drive down Firehole Canyon Drive. Overall, I’m going to avoid more arduous and remote backcountry hikes since I will be there by myself, and especially since reading so many accounts of bear scares! 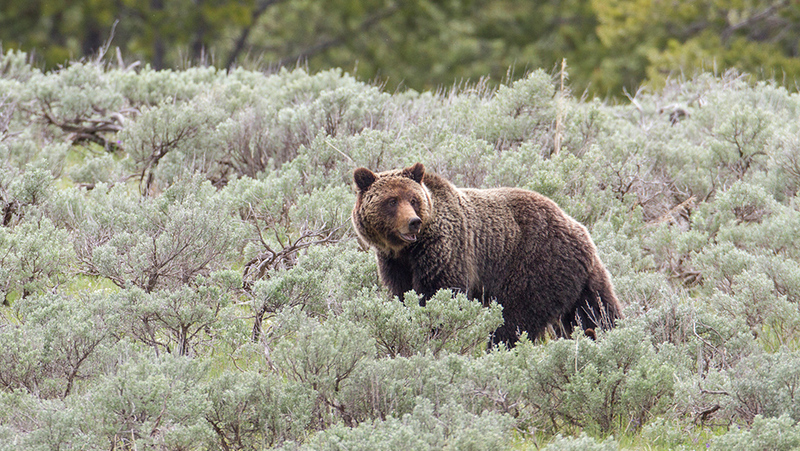 I hadn’t originally planned on carrying bear spray, but numerous warnings from different sites have convinced me to rent a canister for the week, as even some of the smaller, more populated hikes can result in bear encounters. Hopefully, I’ll never have to use it. 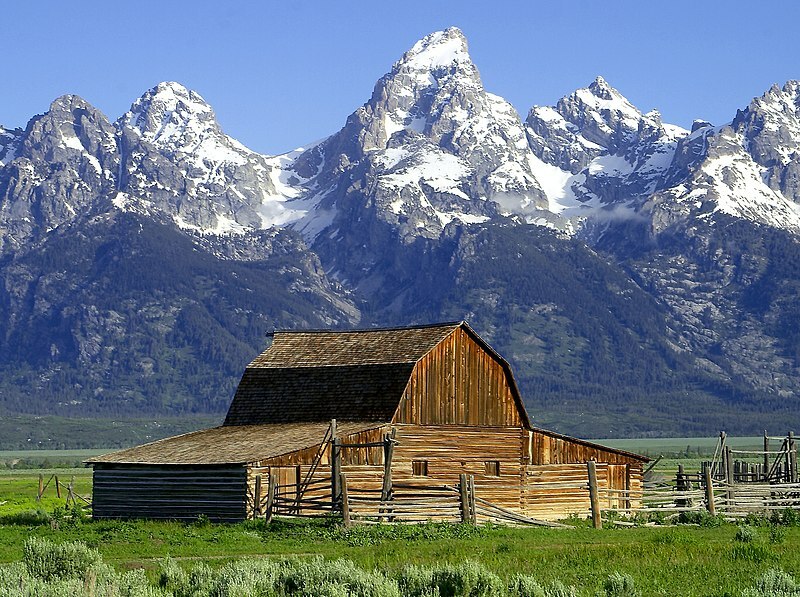 It seems that I’ll essentially be off the grid for my five days in Yellowstone/Grand Teton, as the lodges charge for wifi and cell coverage may be spotty. No TV/radio or AC in the lodges, either, but I expect that I’ll be exhausted enough that lack of TV won’t matter, and the high elevation means cooler temperatures, so AC shouldn’t be an issue, either. Located just south of Yellowstone, I almost didn’t include this in my trip because of the driving distance from my original Yellowstone lodging, but a few friends said I shouldn’t miss it, and who knows if I’ll ever be out this way again? 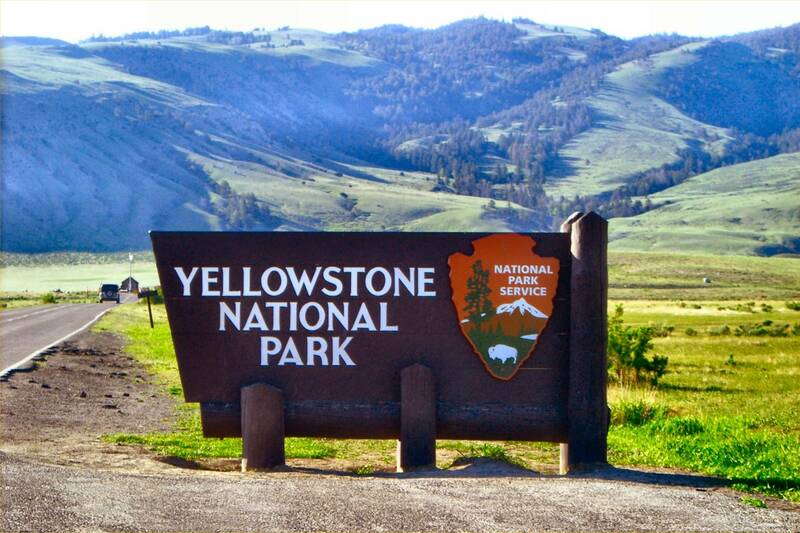 So, I did some research and came up with a good route that will get me to all of the key attractions in one day, and leaving from a much closer Yellowstone lodge will make the day trip more feasible. I later learned that the path of totality for the solar eclipse will pass right through Grand Teton–that would have been an amazing place to view the eclipse, and probably less likely to be affected by weather than Oregon, but that would have required re-doing my entire trip and losing some non-refundable flight bookings, so I’ll stick with Oregon, and if the weather cooperates, I’ll be among the first in the country to see the eclipse. I imagine that Grand Teton will probably be a madhouse anyway since it will most certainly be one of the most poplar places to view the eclipse. This will be the longest drive of the trip, at an estimated 7.5 to 8 hours (longer with stops). 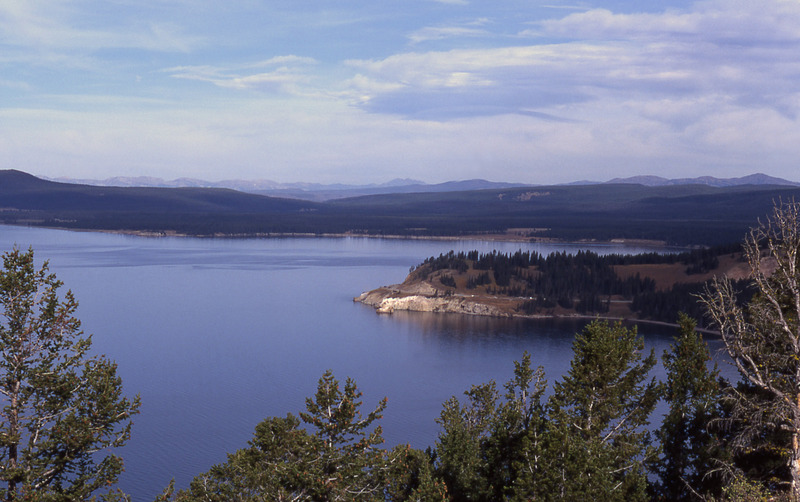 But first I will be exiting Yellowstone out of the East Entrance and hope to spend some time at the Lake Butte Overlook, which provides a high vantage point over Yellowstone Lake. And if I leave early enough I may hike the Storm Point trail on the northern shore of the lake on my way out. Then comes the long trek across the entire state of Wyoming. The route I’m taking is supposed to be pretty scenic, though I may want to limit my stops if I hope to reach Deadwood at a decent hour. 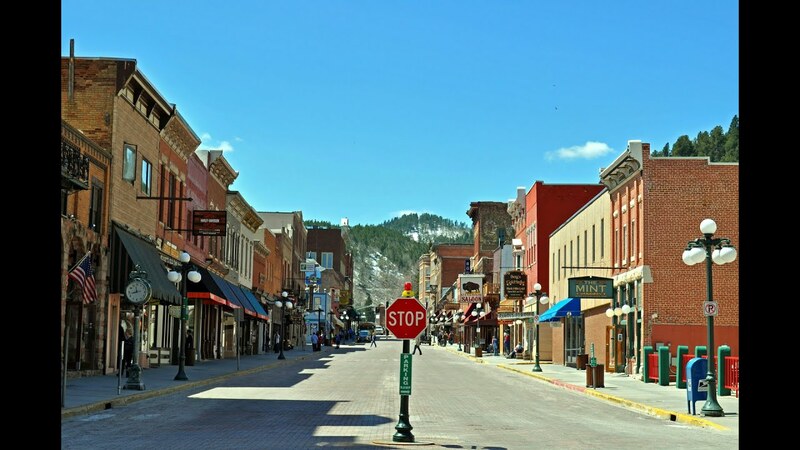 I chose Deadwood in part because of its central location between Devils Tower and Mount Rushmore, but also because I was a huge fan of the HBO show and thought it might be cool to walk around the historic town in the footsteps of so many famous people. On this day I will be fulfilling another childhood dream with a drive out to Devils Tower, made famous by Close Encounters of the Third Kind. I imagine by now you’ve picked up on the fact that most of the destinations on this trip were inspired by TV and film. Even my desire to visit Portland could be attributed to the TV show Portlandia, among others. And if you want to stretch things further you can associate Mount Rushmore with North by Northwest and the Yellowstone/Grand Teton portion of the trip to nature shows like Planet Earth. Anyway, if I have time after my visit to Devils Tower, I’m hoping to drive through the Spearfish Canyon Scenic Byway on the way home. My original plan for this day was to drive straight to Mount Rushmore, but after researching nearby Custer State Park, I’ve decided to take a long route through three scenic drives that ultimately end at Mount Rushmore. 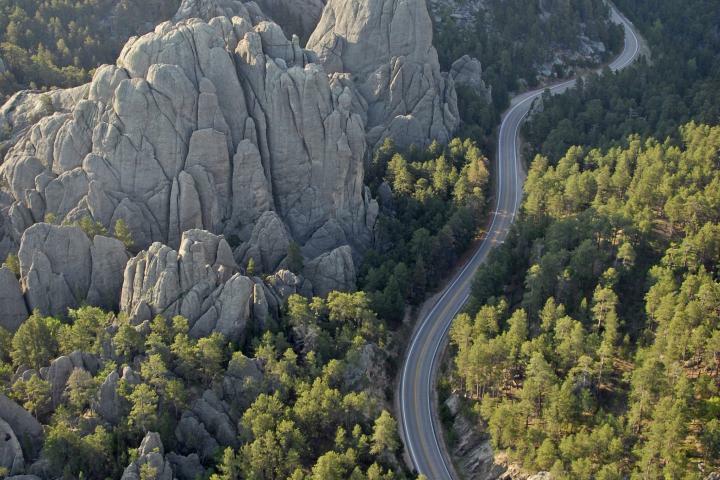 The three routes: Needles Highway, Iron Mountain Road, and Wildlife Loop Road collectively make up the majority of the Peter Norbeck Scenic Byway, which is considered one of the top scenic byways in America. That should occupy most of the day, but if I have time I may detour to the Crazy Horse Memorial. Later that night perhaps I’ll take one final stroll around Deadwood before packing for the trip home. I’ll have to get up early to get to Rapid City airport for a flight to Denver with a super quick layover that’ll have me running to catch my plane home to New Jersey. Overall, it’s quite an ambitious itinerary I’ve set for myself over two those weeks, but one that will be extremely fulfilling if all goes to plan. I do regret that I won’t have time to visit a couple of parks in the area: Glacier National Park in Montana and Badlands National park in South Dakota, but you can’t do it all in one trip! If I had to plan it over again, I might have remained in the Wyoming/Montana area to fit in Glacier National Park and left the entire South Dakota area for a separate trip, but on the other hand, who knows if I’ll ever get out that way again, so I might as well cram as many of my bucket list items into one trip as I can. So that’s the agenda. What do you think?